The militant attack yesterday evening lasted for an hour. 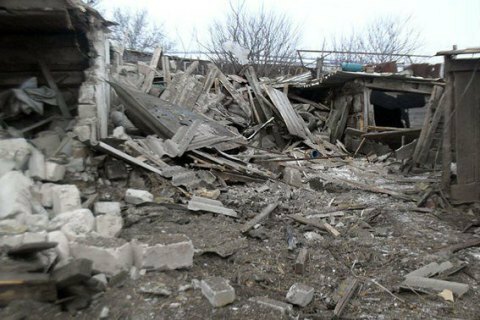 On the evening of 17 February, pro-Russian militants shelled the village of Trudivske on the line of contact, 15 km from Volnovakha, damaging over 15 houses and wounding a 15-year-old boy and his 43-year-old father. The attack began at 10 p.m. Kyiv time and lasted for an hour, the National Police said. Earlier reports that two brothers, 14 and 19, were wounded in Avdiyivka as a result of a shelling attack were also confirmed. On 17 February, one army support volunteer was killed and four Ukrainian troops were wounded.